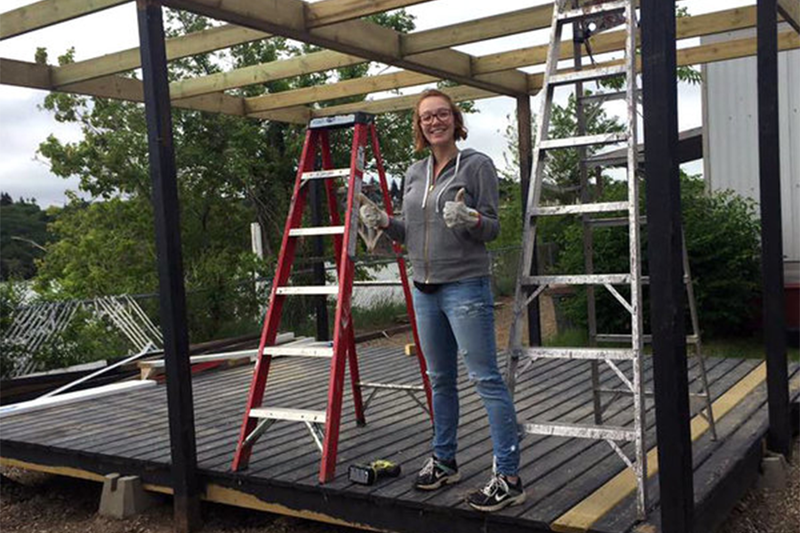 Theatre design student Jensine Trondson works on the Shakespeare on the Saskatchewan site (submitted photo). Students in the Department of Drama are thriving amid the energy and excitement of Shakespeare on the Saskatchewan as members of the 2016 festival’s production team. The annual theatre event is a regular outlet for established artists such as Heather Morrison (BFA’08) and Angela Christie (BFA’00), but also provides up-and-coming students with priceless experience working on a professional production. Department of Drama students including Brousseau, Jensine Trondson, Amberlin Hsuand Logan Martin-Arcand are involved in this year’s festival. They work alongsideveterans of Saskatchewan’s theatre community including about a dozen faculty, instructors and alumni of the College of Arts and Science. See more on the College of Arts and Science website.